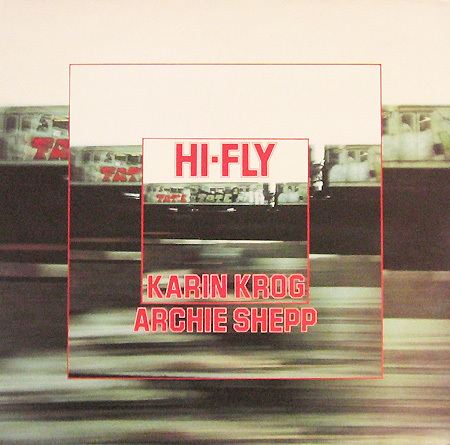 «Hi-Fly» – Karin Krog/Archie Shepp with Charles Greenlee,Jon Balke,Arild Andersen, Beaver Harris and Cameron Brown. Recorded in Oslo in 1976 with engineer Bjørn Lillehagen. The album came about on the initiative of Beaver Harris as he and Archie were passing through Oslo. The songs on the album are mainly compositions by jazzmusicians, like «Sing me softly of the blues» by Carla Bley, «Soul Eyes» by Mal Waldron, «Hi-FLy» by Randy Weston and Shepps own «Steam». The album won a Grammy award in Japan in 1977.